Google Cardboard has been one of the biggest surprises this year by the search engine giant and the company today announced that have already shipped half a million of these extremely minimalistic cardboard based headsets. This is Google’s first foray into the world of virtual reality. The company has launched a new website for the low-cost VR, one which collects the best apps for download as well as showcases new SDKs for Android and Unity devs to play around with, says Engadget. Google has said it is working to improve its smartphone-based VR, which has over “half a million” units in the hands of consumers. Apps currently available for Cardboard include taking a test drive in a Volvo, a tour of The Shire from The Hobbit films and sitting at a Paul McCartney concert. The company had taken a long time to come up with an update to the original version of the app after its launch, which had led many to believe that they had probably lost interest in the project. an update was today announced for both the cardboard app and the SDKs. However, no changes have been made to the Cardboard viewer at all. The foldable cutout which was actually made out of cardboard did look like some kind of a joke when it was first launched. After all, the contraption which can be attached to a smartphone does look funny when compared to the Oculus Rift and Samsung’s own smartphone-powered Gear VR. The fact that it has gone well with the users goes out to prove that you don’t always need to shell out big money to get the best gadgets. 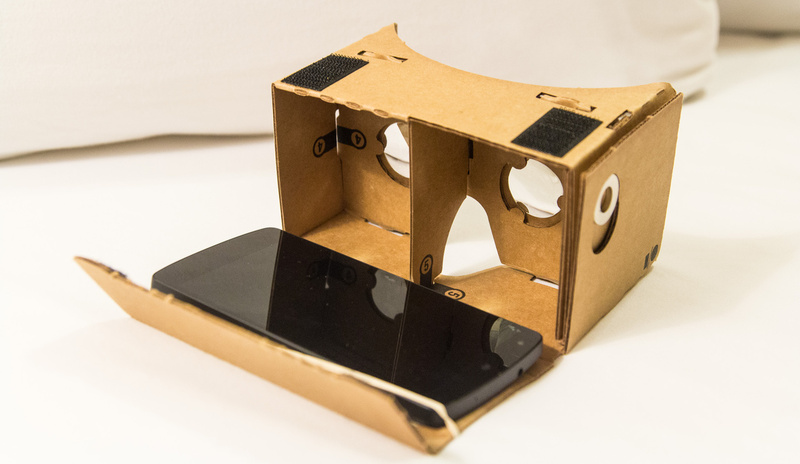 A little ingenuity and out-of-the-box thinking is all Google Cardboard is about!